Disney has revealed that its gondola transportation system - Disney Skyliner, will open to guests in fall 2019. In addition , Disney Parks, Experiences and Consumer Products Chairman Bob Chapek unveiled the Disney Skyliner gondola to Disney fans during D23’s Destination D event today at Walt Disney World. Disney has revealed the name of a number of new resorts and attractions coming to Walt Disney World. The new 15 story tower under construction at Disney's Coronado Springs Resort will be called “Gran Destino Tower”. The names of the two signature attractions set for Star Wars: Galaxy’s Edge when it opens at the Disneyland Resort next summer and at the Walt Disney World Resort in fall 2019 will be “Millennium Falcon: Smugglers Run” and “Star Wars: Rise of the Resistance”. In addition to the name, Disney has also released new footage of both attractions as well as some of the new music composed by John Williams. 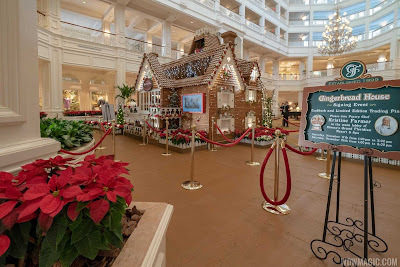 Videos from the Disney Parks Blog. Disney has also revealed some new shows coming to the parks. 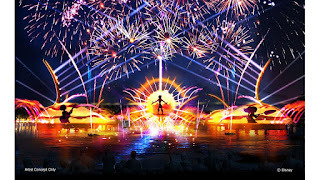 Epcot Forever to debut as interim show before full Reflections of Earth replacement in 2020. The unnamed new nighttime spectacular will celebrate how Disney music inspires people around the world, and will feature massive floating set pieces, custom-built LED panels, choreographed moving fountains, lights, pyrotechnics and lasers. Before that new show begins, there will be a limited-time experience, called "Epcot Forever," which will debut in fall 2019 and will feature classic Epcot tunes. "Epcot Forever" will begin with a spark of imagination that swells into an epic spectacle of fireworks, music, lighting, lasers, and special effects kites. 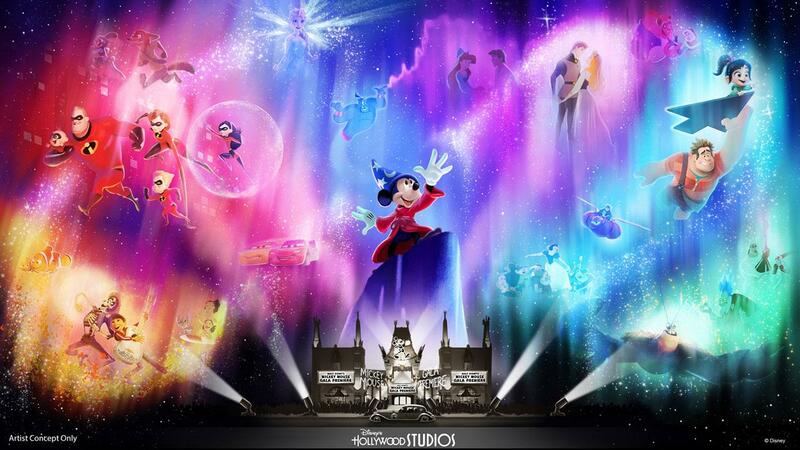 An all-new cinematic nighttime experience, “Wonderful World of Animation,” which will debut at Disney’s Hollywood Studios in May 2019, as part of the park’s 30th anniversary celebration. Moments from the experience will be captured from start to finish, giving the guest a variety of images to choose from. The Magic Kingdom's Tomorrowland Terrace will be return to service this week with a Thanksgiving line-up. Dishes include a Traditional Thanksgiving Dinner $15.99 (Oven-roasted Turkey, Yukon Gold Mashed Potatoes, Turkey Gravy, Stuffing, Green Beans and Cranberry Sauce); Oven-roasted Turkey BLT $12.99 (Roasted Turkey, Applewood-smoked Bacon, Smoked Gouda, Chipotle Garlic Aïoli, Lettuce and Tomato on a Roll served with French Fries or Apple Slices); Flavors of Fall Salad with Roasted Turkey $10.99 (Mixed Greens topped with Roasted Turkey and tossed with Granny Smith Apples, Cranberries, Sharp Cheddar, Pumpkin Seeds and a Maple-Shallot Vinaigrette); Chicken Strips and Burgers. Operating hours are 11am to 3pm daily from November 17 - 24, 2018.